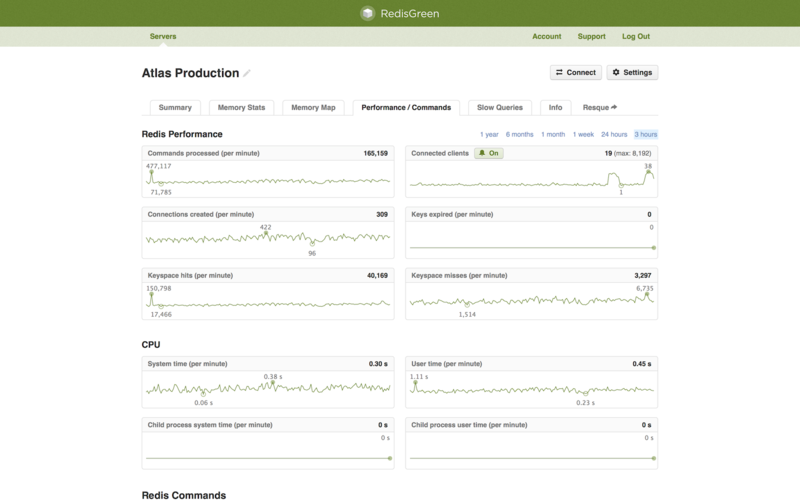 RedisMonitor is a dashboard that gives you insight into the health, performance, and memory usage patterns of Redis. Are you spending too much on memory? Do you know why your memory usage is growing? RedisMonitor can answer those questions! We've baked our years of experience running some of the largest Redis installations in to RedisMonitor. If your Redis server isn't performing perfectly, RedisMonitor will tell you why. 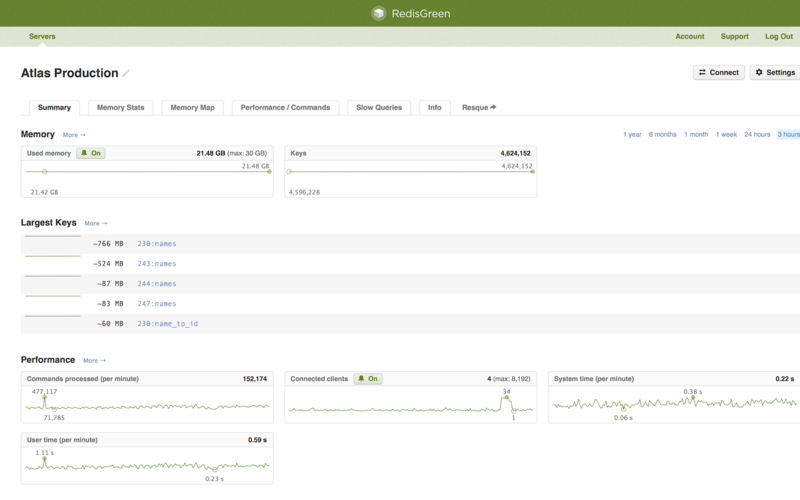 RedisMonitor tracks the performance of every command your server runs, allowing you to quickly pinpoint problematic usage patterns before they impact your application. If you're having trouble or need help getting the most out of Redis, our team of engineers can help you out. We've seen it all. All you need to use RedisMonitor is a working Redis URL — there's no software to install, configure, and manage. 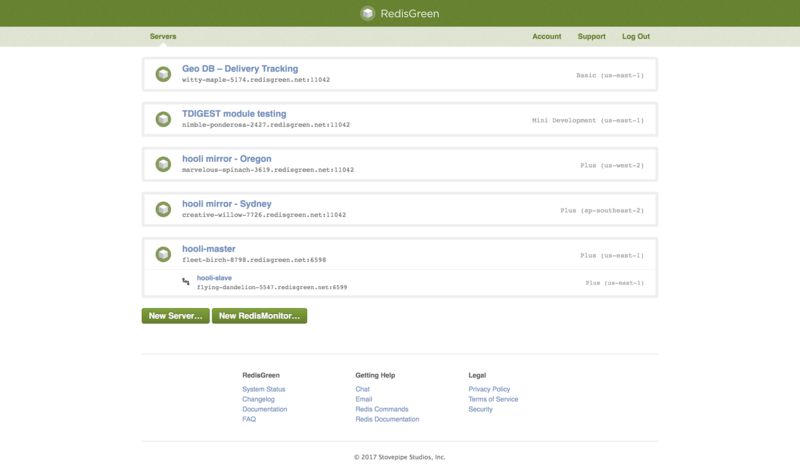 RedisMonitor is built with the same monitoring infrastructure that powers RedisGreen's fleet of servers and is tuned to have virtually no impact on your server. 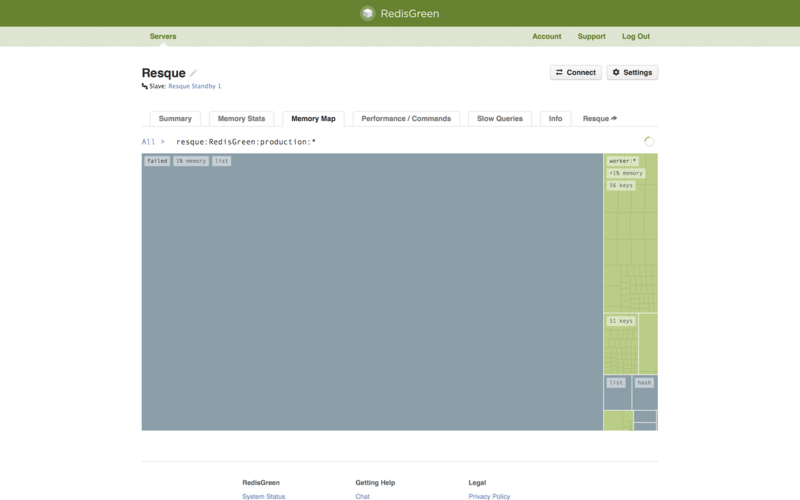 Don't worry about installing and maintaining Resque Web — RedisMonitor hosts it for you. 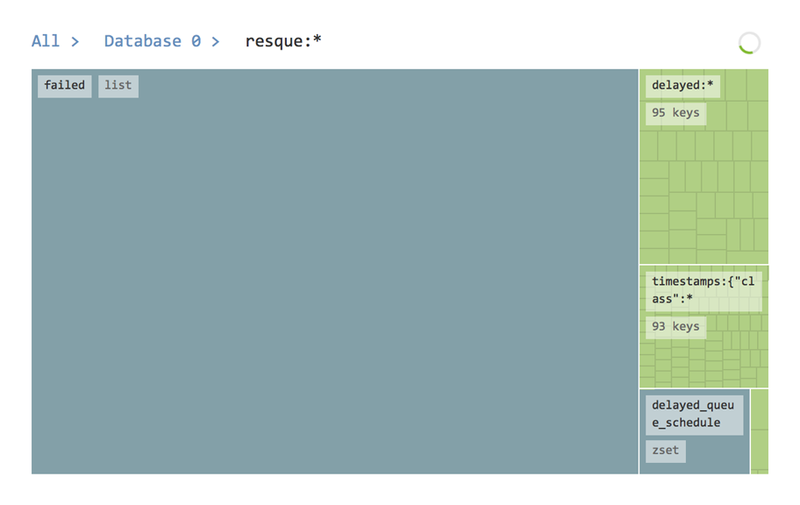 We even support Resque Scheduler.  We recommend using EC2 Security Groups to secure access to your Redis server. Read more here.